A FORMER Bundaberg man is preparing to lose his dreadlocks in a very public way for a good cause. 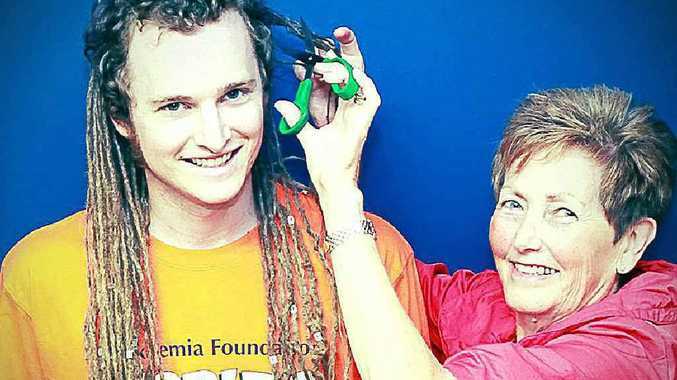 Freelance journalist and former Bundaberg High School student Andrew McMillen is preparing to shave off the hairstyle he has sported for the past seven years, to raise money for the Leukaemia Foundation's World's Greatest Shave. "The last few years I had been telling anyone around that when I shaved them off it would be for World's Greatest Shave," he said. "It seemed like a better thing to do than just going to the hairdresser." But instead of being a little apprehensive about his upcoming date with a pair of scissors, Mr McMillen said he was looking forward to the experience. "I am looking forward to starting afresh," he said. Mr McMillen, who now lives in Brisbane, said once his hair grew back he planned to get more dreadlocks, but thicker than those which had been in his hair since 2004. And the writer certainly won't be able to hide once the locks start to fall, with the event scheduled to be held at the Queen St Mall next month. "We're not sure when it will be yet - either the week before the official days (on March15-17) or on the first day," he said. Mr McMillen is aiming to raise $1000 for his shave.